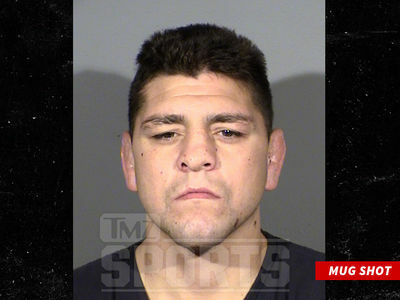 Nick Diaz is finally breaking his silence on that domestic violence arrest back in May -- telling TMZ Sports, "I was framed." The UFC star and his camp had been radio silent about the May 24 incident ever since Nick was arrested for allegedly choking a woman and slamming her to the ground at a Las Vegas home. He was charged with felony domestic battery by strangulation and faces up to 5 years in prison if convicted. So, when we saw Nick leaving Tocaya Organica in Los Angeles, we asked if he had a message for his fans. He cracked a smile and said, "I was framed." Diaz also talked about his fighting career -- telling us he wants to get back in the Octagon next year -- with his sights set on fighting Georges St-Pierre. "I win if he don't cheat," Diaz said ... "If he don't miss weight like he did last time." Diaz hasn't fought since 2015 -- despite UFC honcho Dana White offering him several fights over the past 3 years.